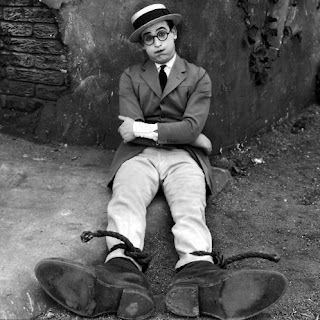 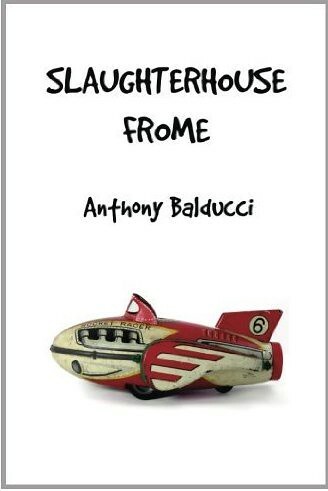 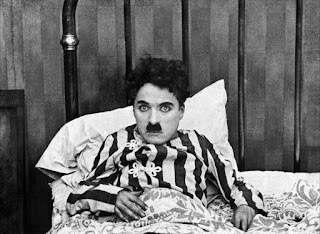 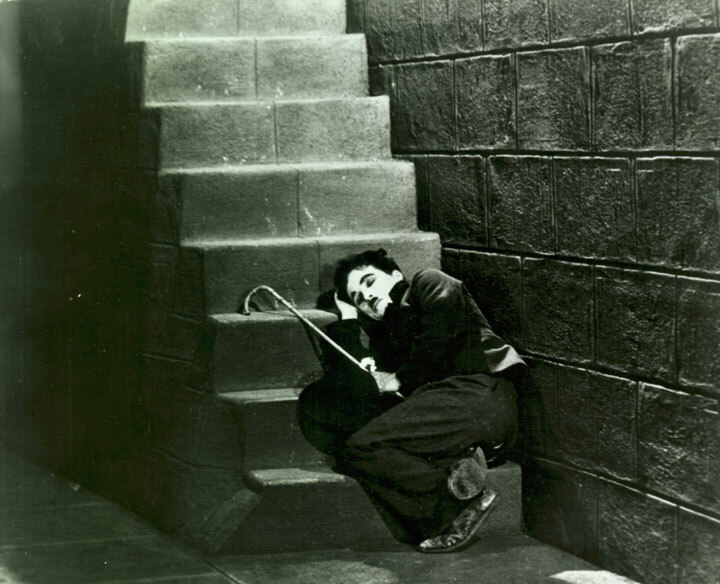 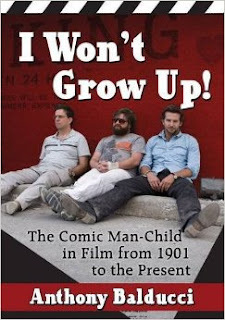 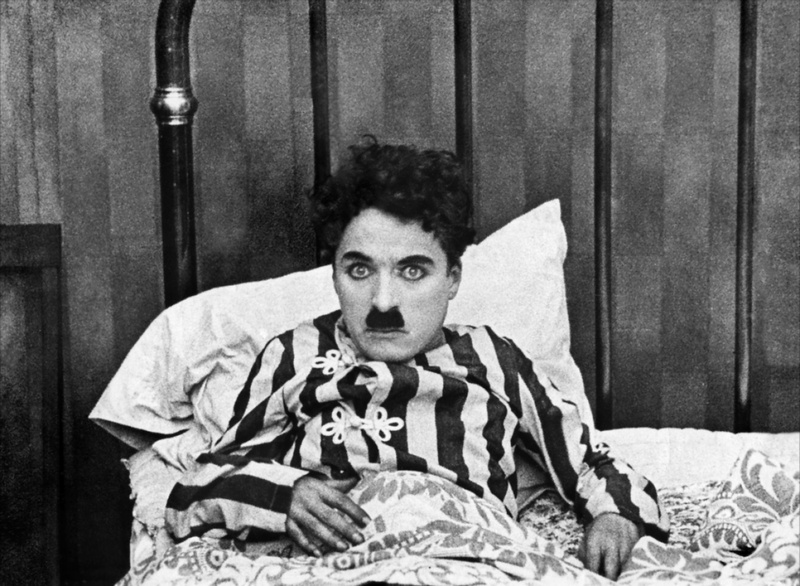 Let us examine the history of the man-child slacker in the history of film comedy. 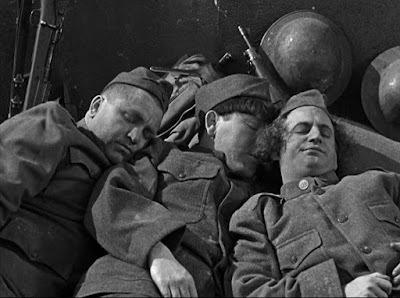 Even a war cannot invigorate a true slacker. 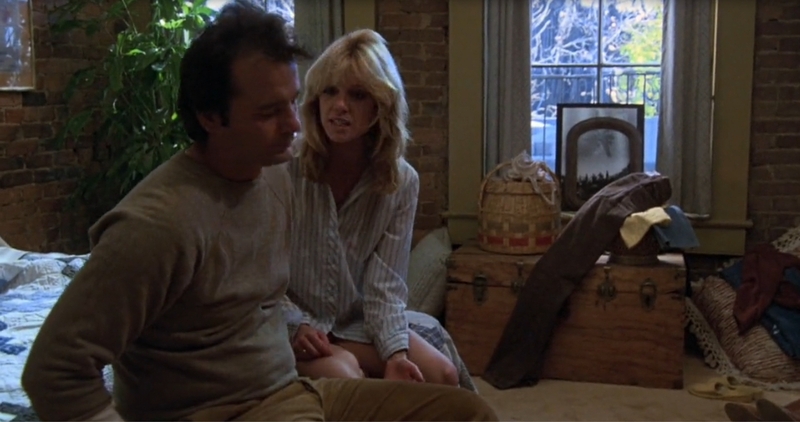 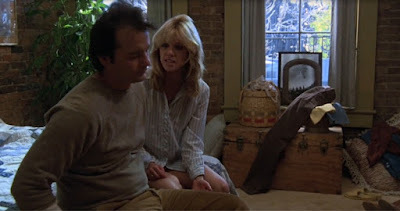 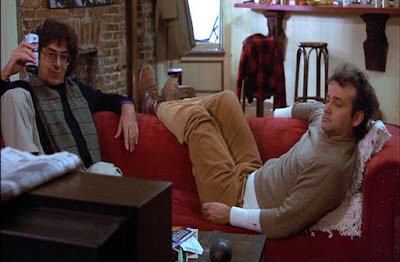 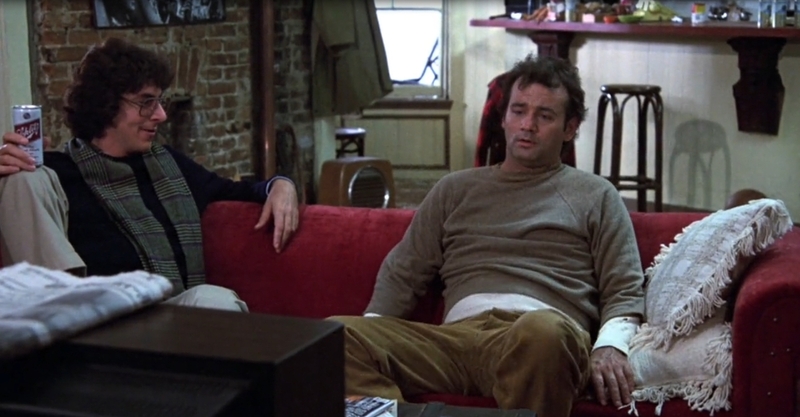 In Stripes (1981), Bill Murray cannot even muster the energy to sit up when his girlfriend (Roberta Leighton) is breaking up with him. 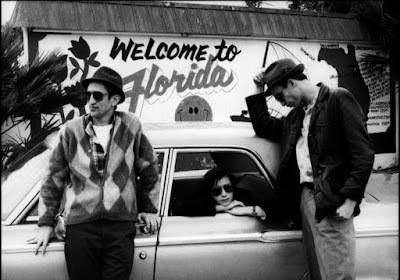 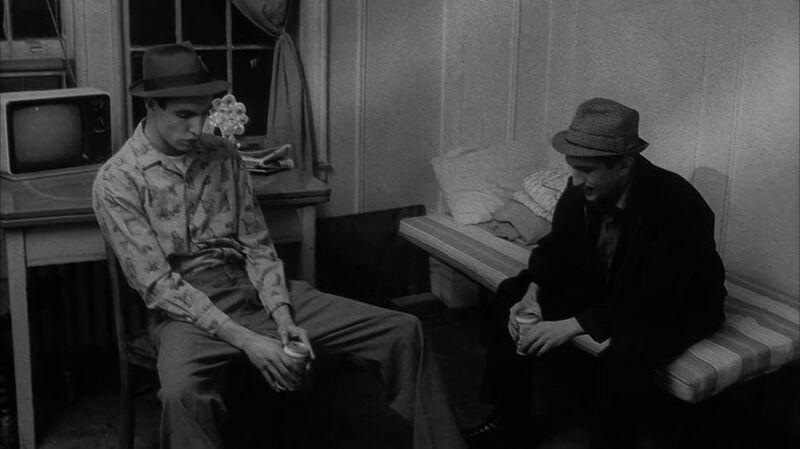 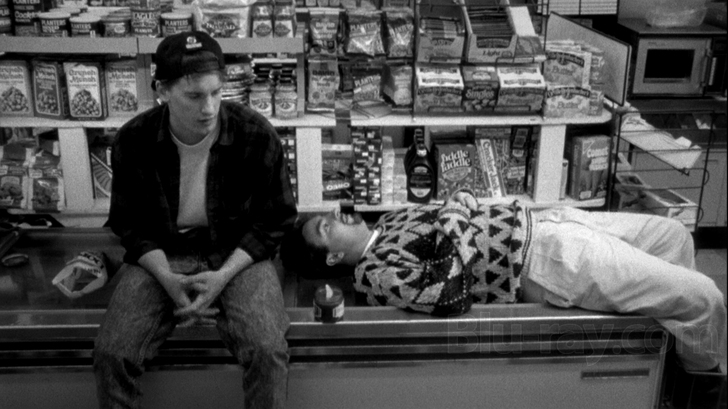 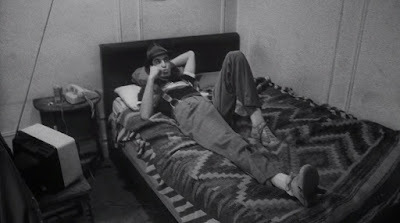 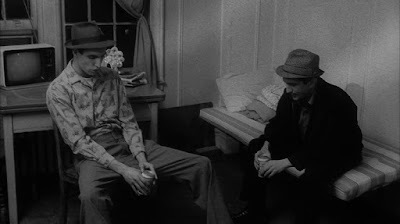 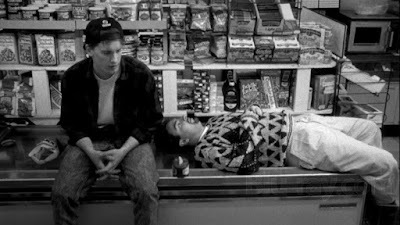 Stranger Than Paradise (1984) was a seminal slacker comedy. 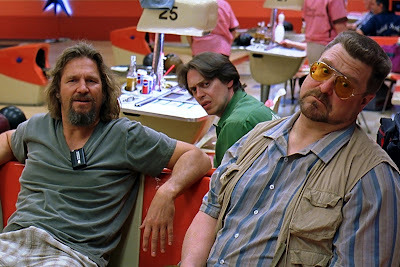 The characters lack purpose or direction. 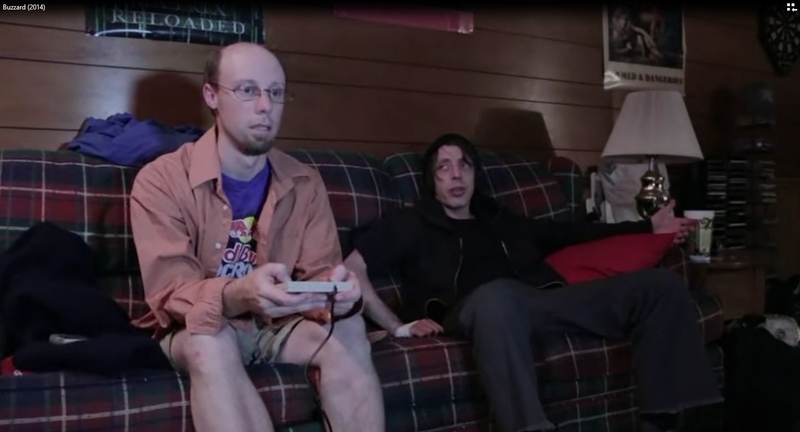 They slouch and shamble their way through uneventful lives. 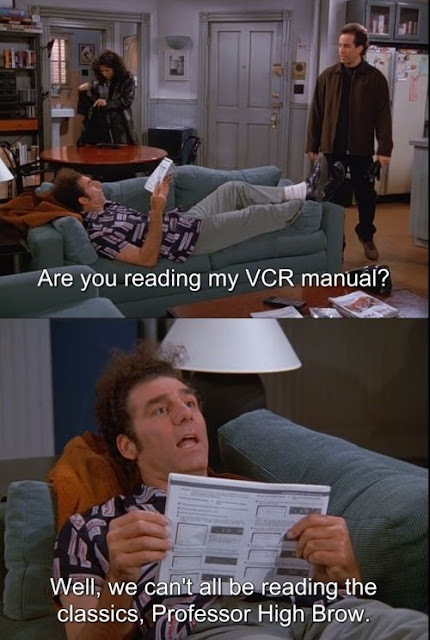 Seinfeld's ultimate man-child George Costanza is too lazy to ride a bicycle, too irresponsible to own a dog, too unalluring to attract a kiss, too insensitive to cry, and too impatient to take a bath. 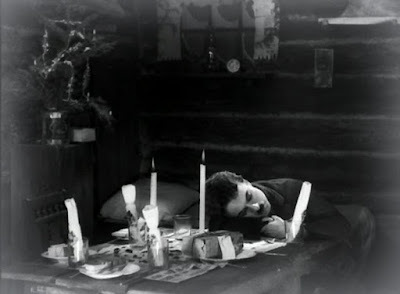 But, much like a baby, he is focused almost entirely on sleeping and eating. 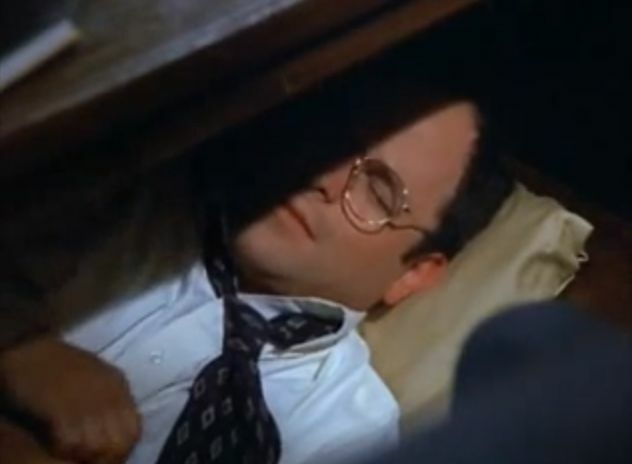 George made it part of his daily office routine to hide under his desk for a deep afternoon snooze. George's friend Kramer was just as unproductive. 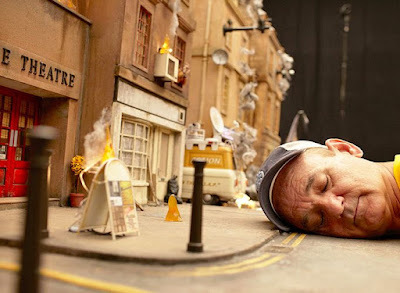 Murray is still a slacker after all these years. Here he takes a nap on the set of The Fantastic Mr. Fox (2009). Jeff Garlin is concerned about his slacker daughter (Keira Knightley) in Laggies (2014). 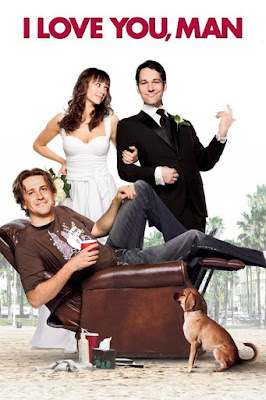 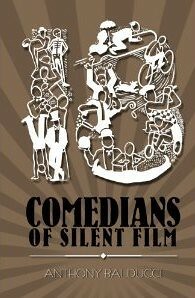 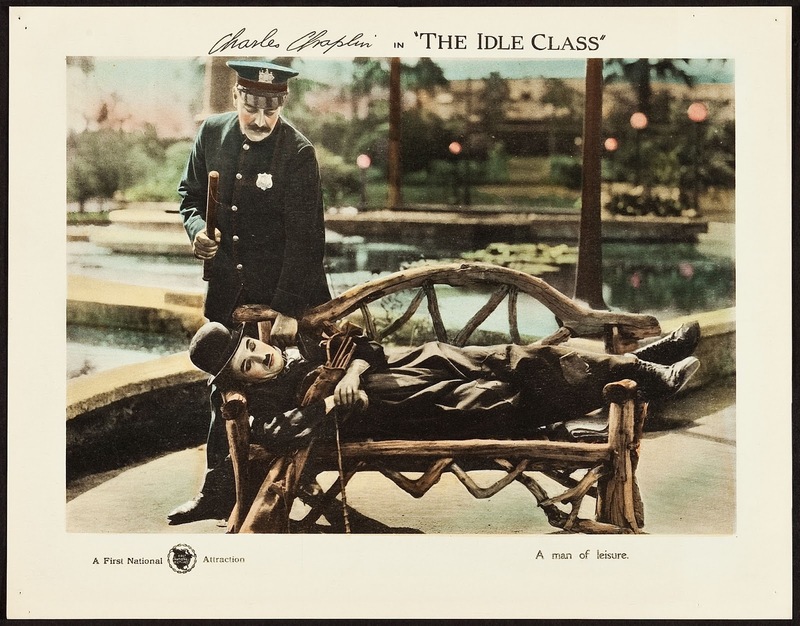 A clue that a film is about a slacker is the presence of a lounge chair in the poster. 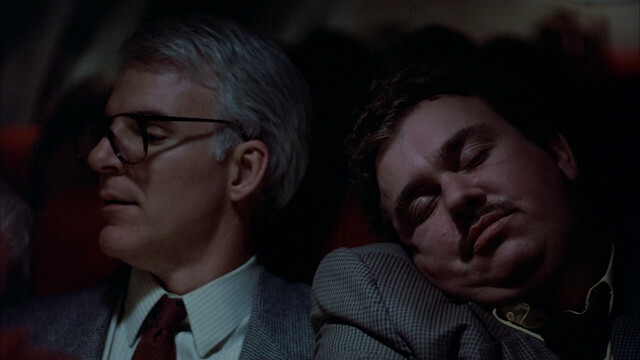 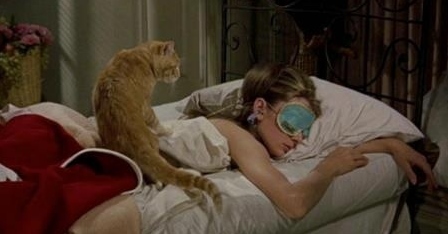 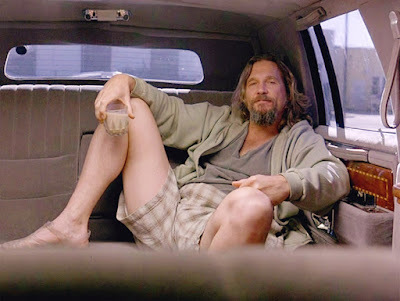 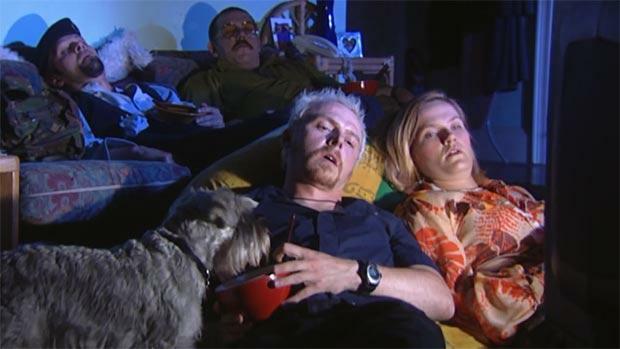 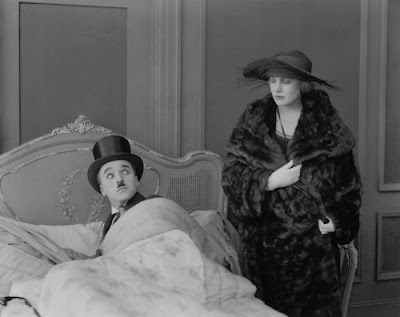 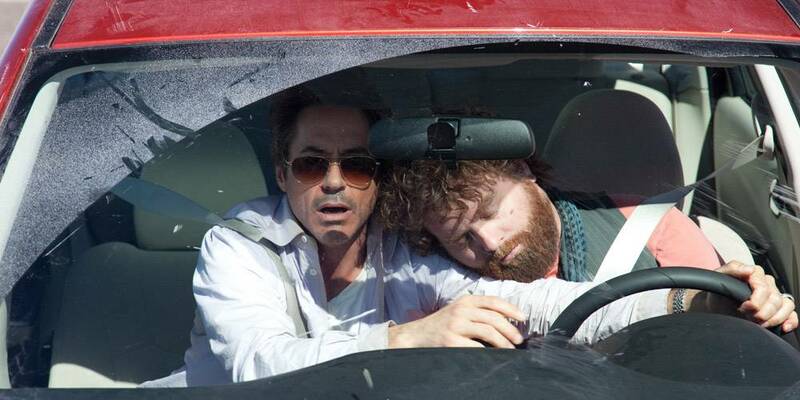 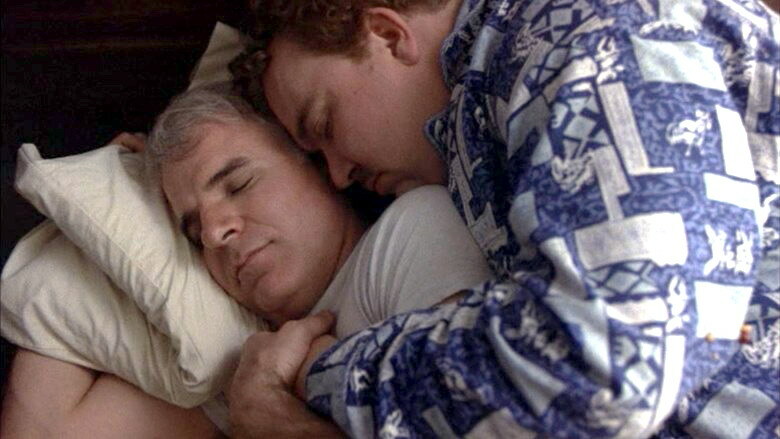 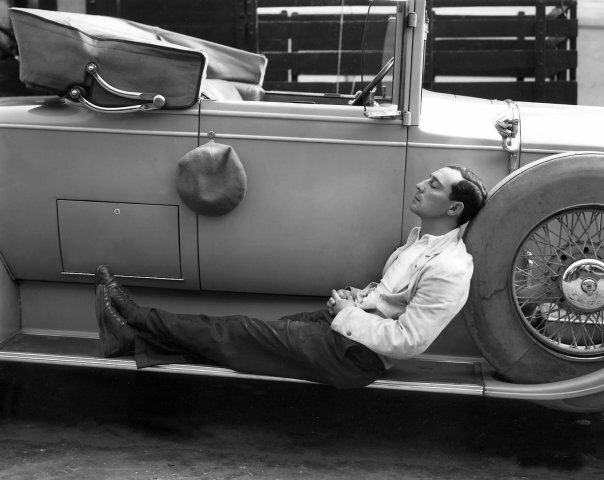 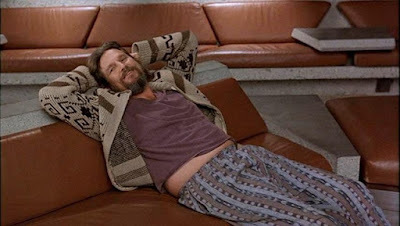 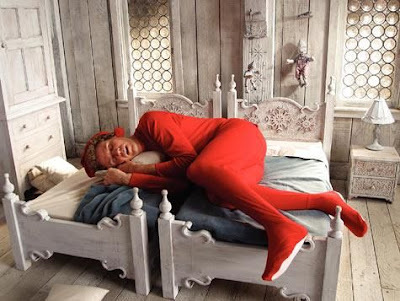 Who are the biggest slackers and nappers in film comedy? 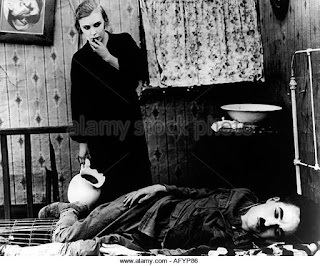 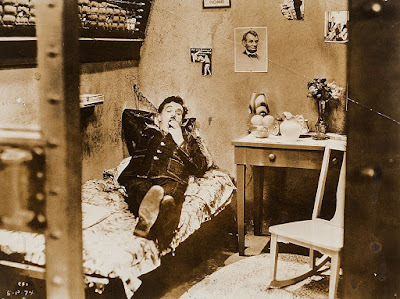 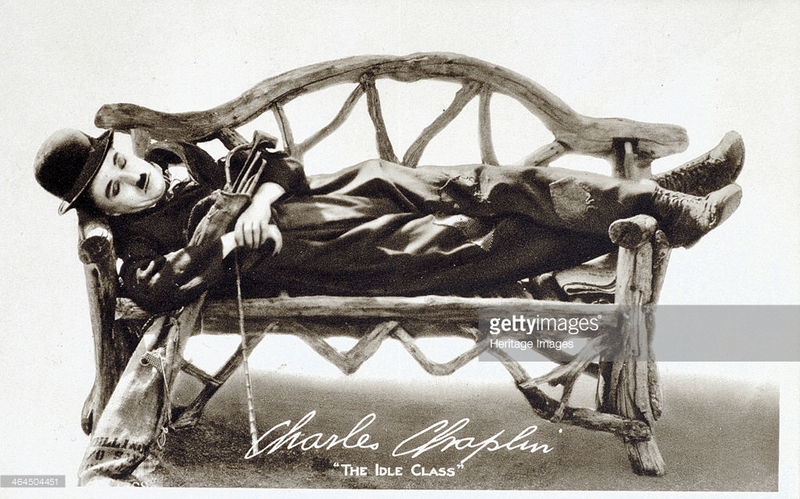 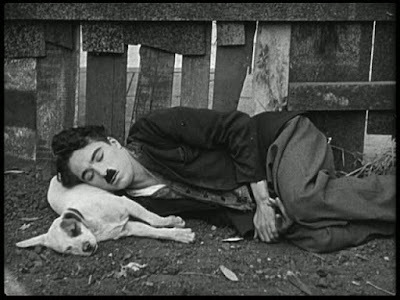 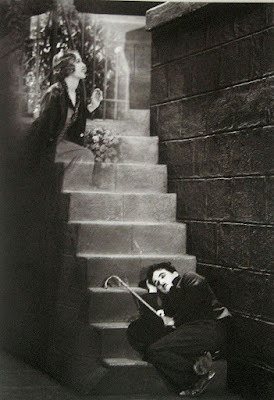 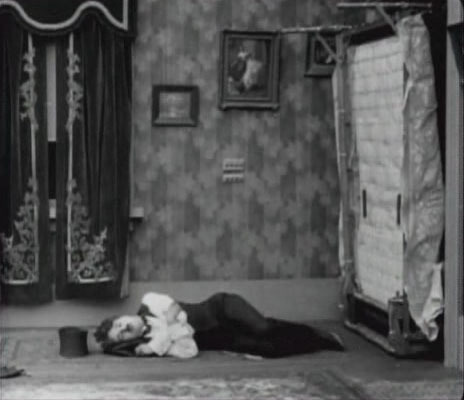 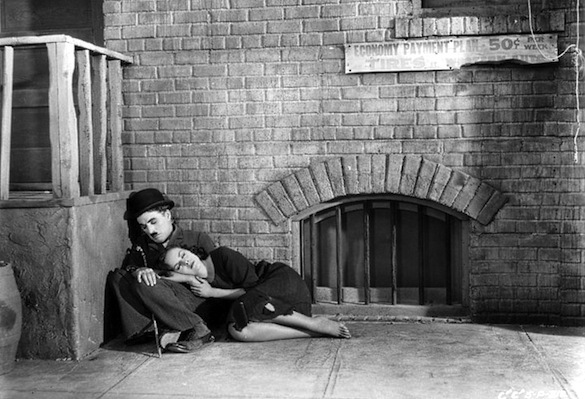 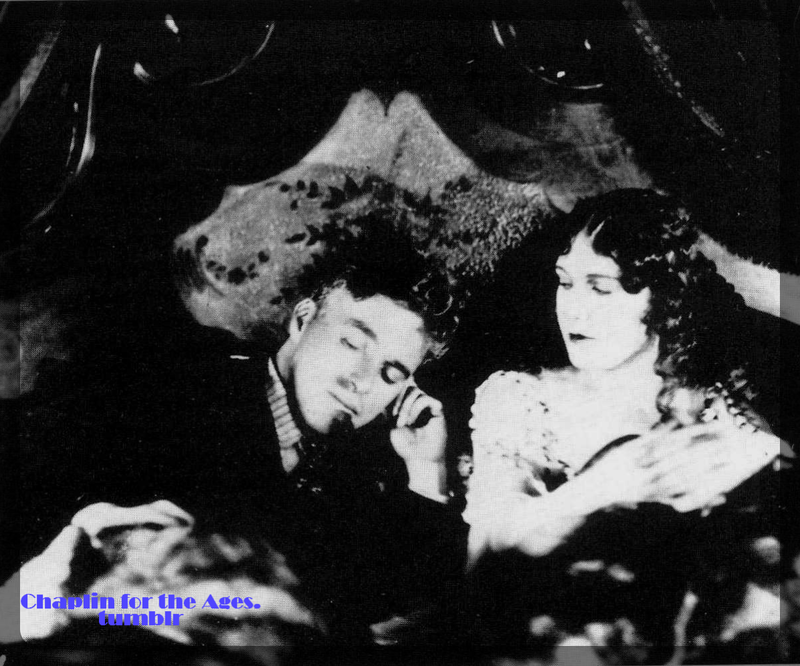 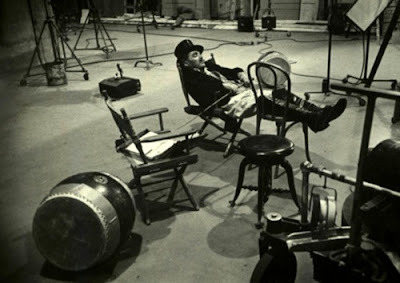 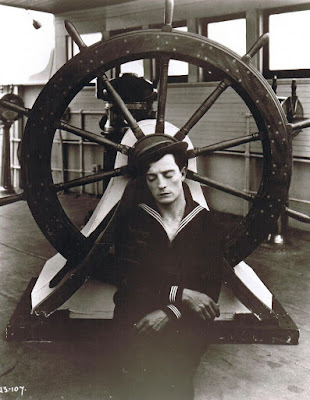 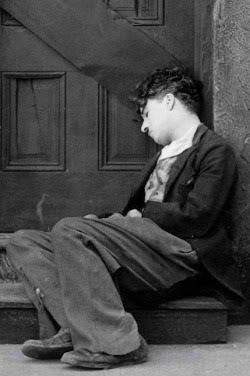 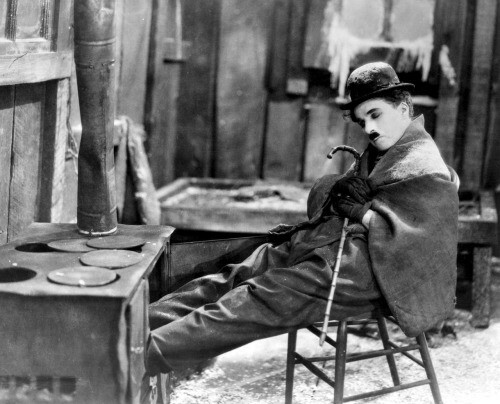 The Tramp, as other homeless fellows, spent much of his time looking for a good place to curl up and take a nap. 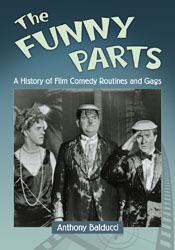 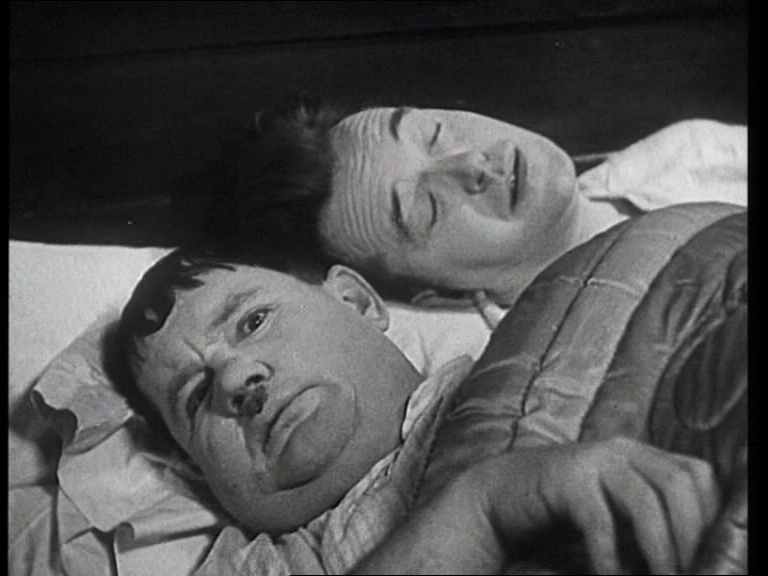 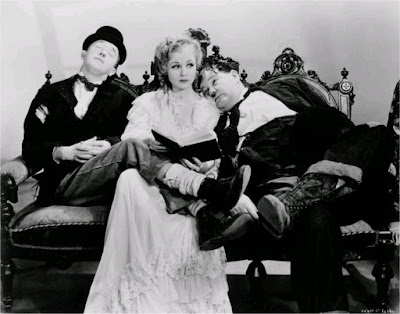 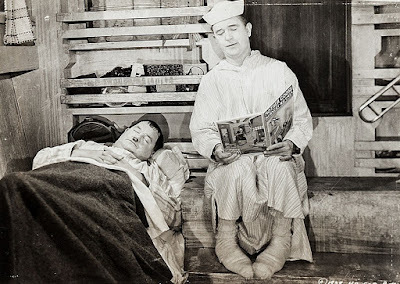 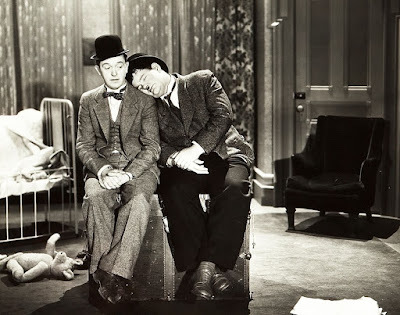 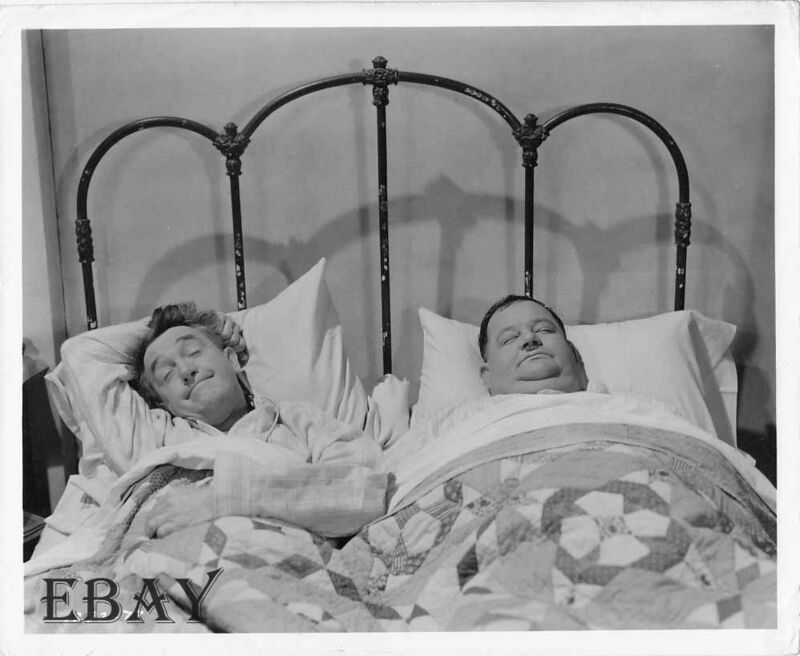 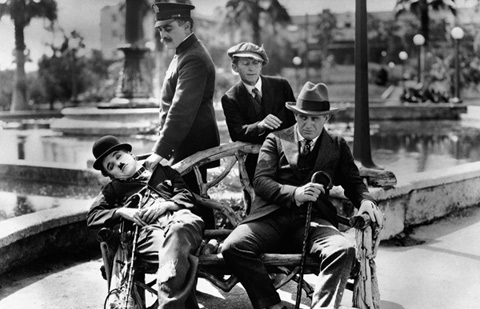 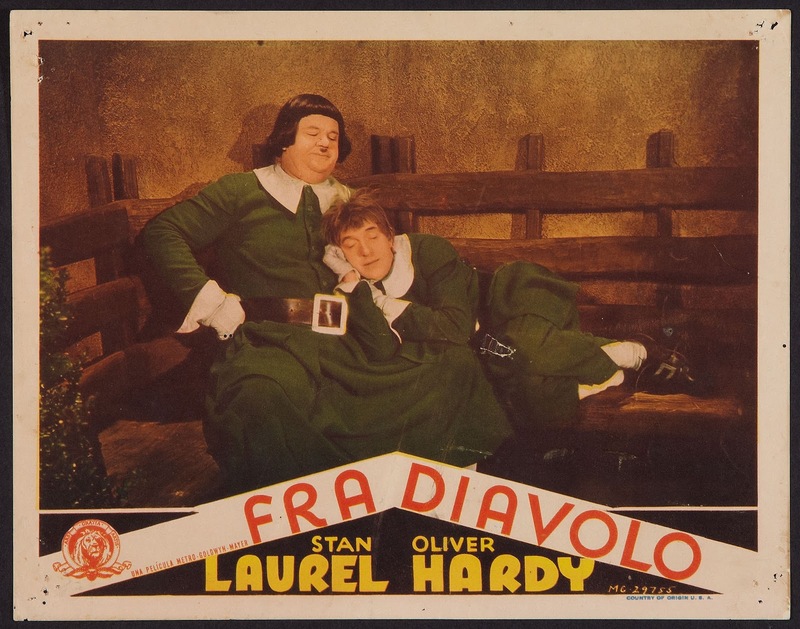 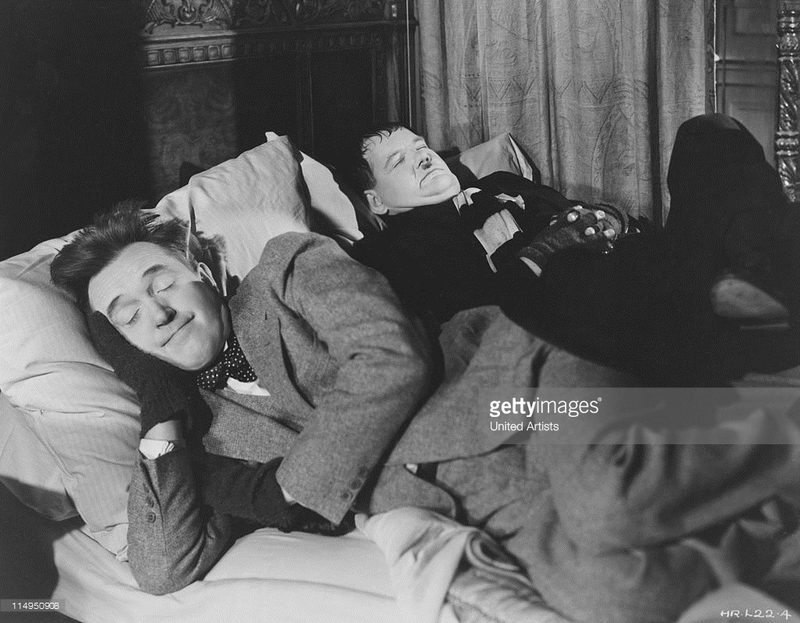 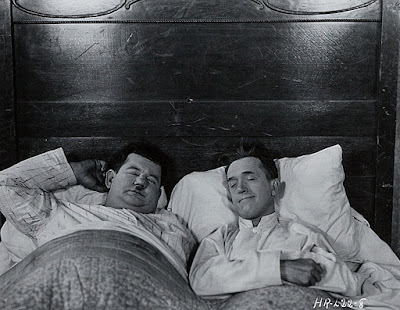 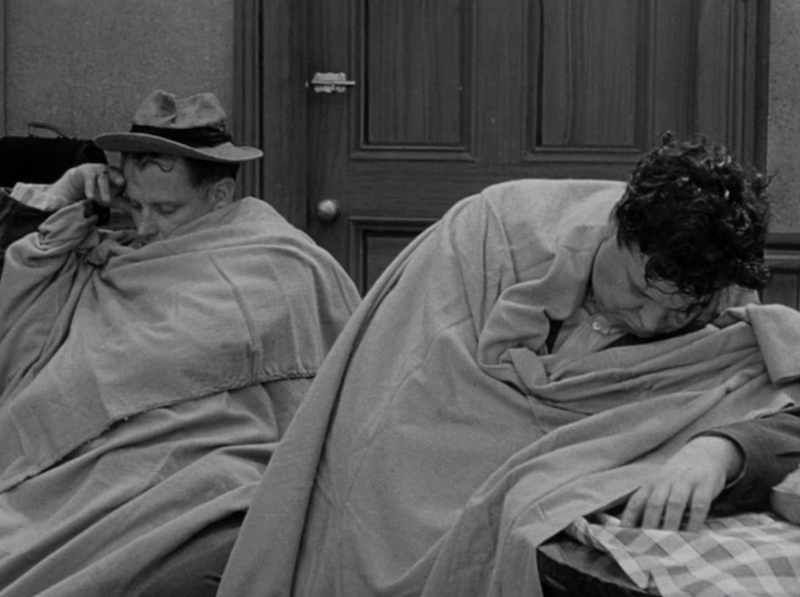 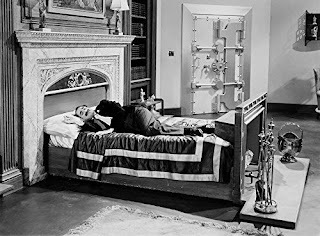 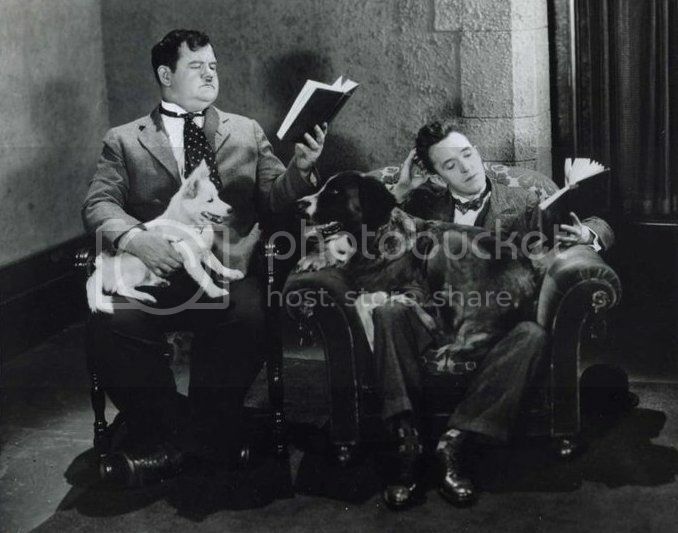 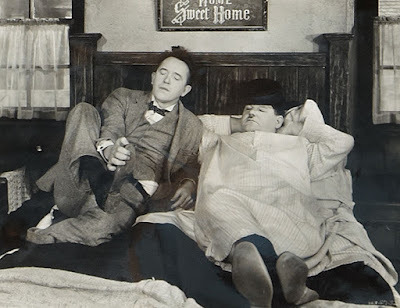 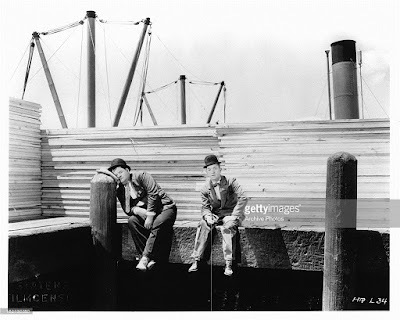 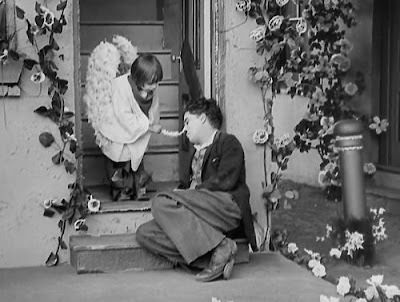 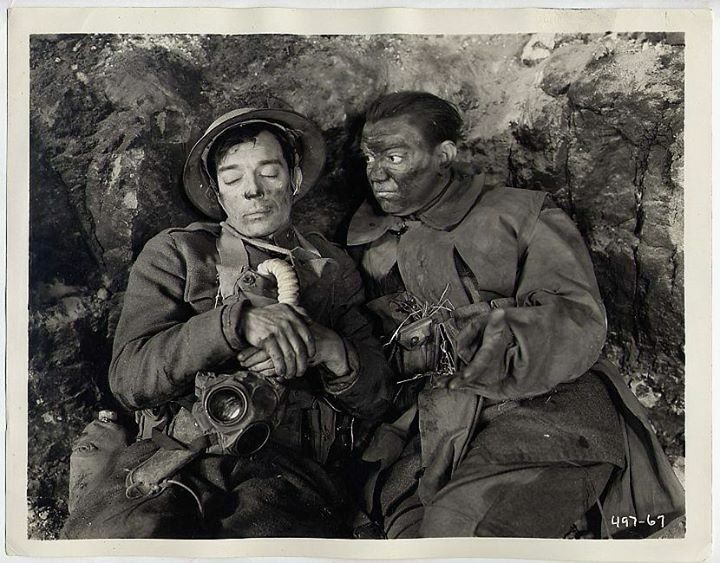 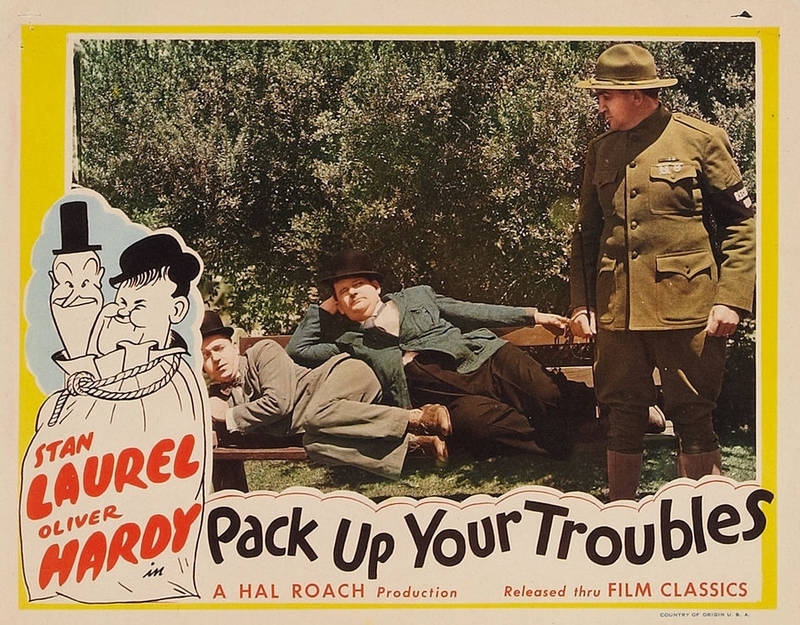 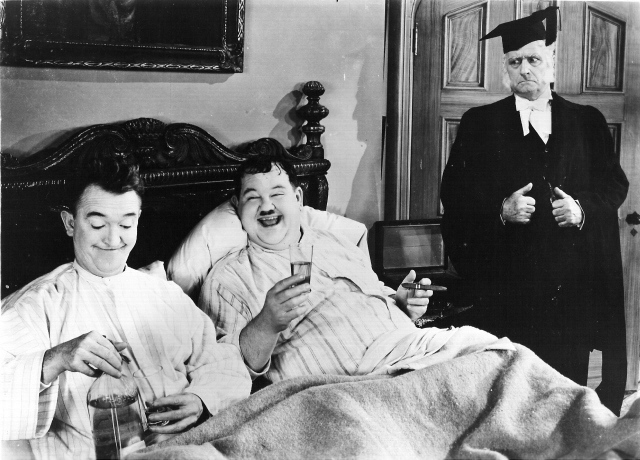 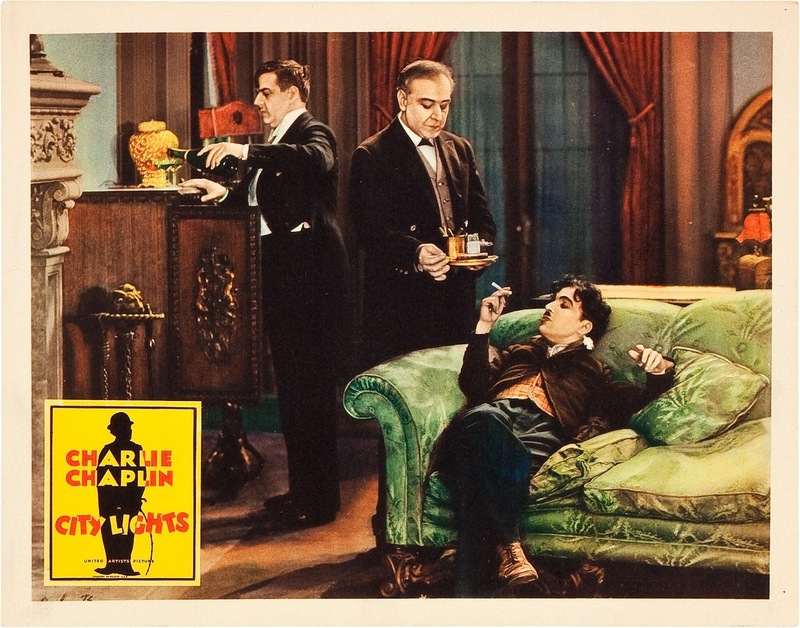 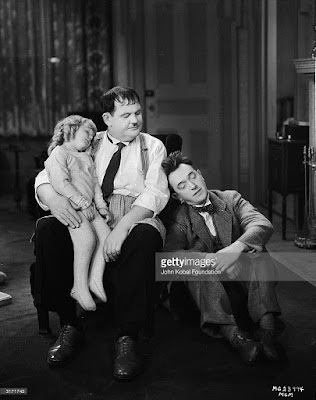 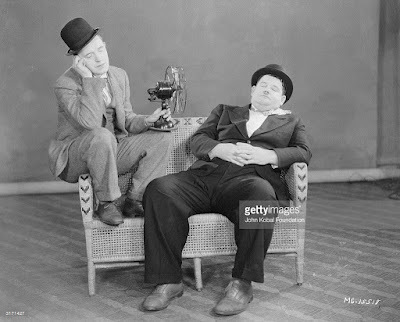 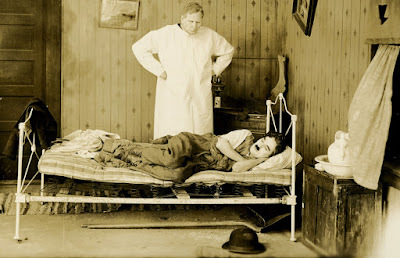 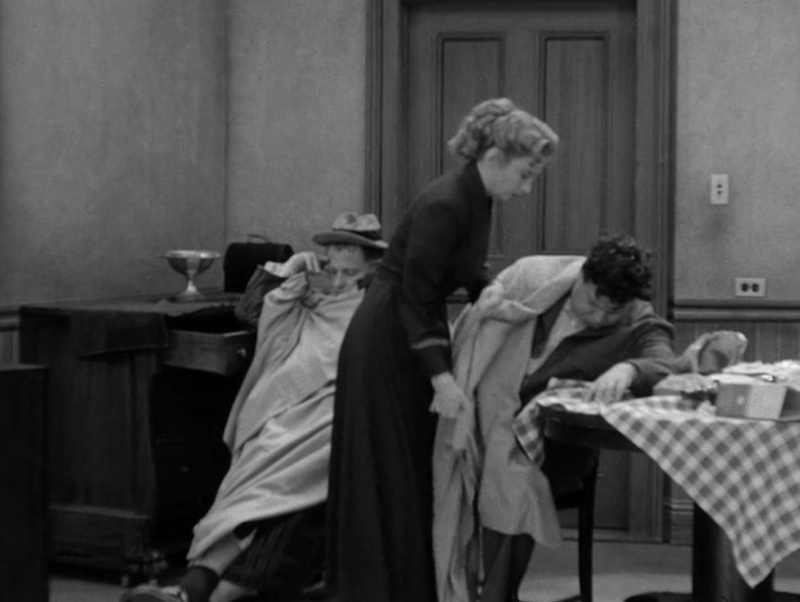 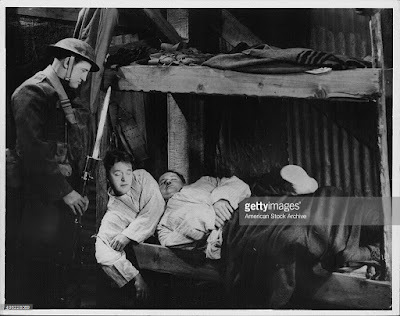 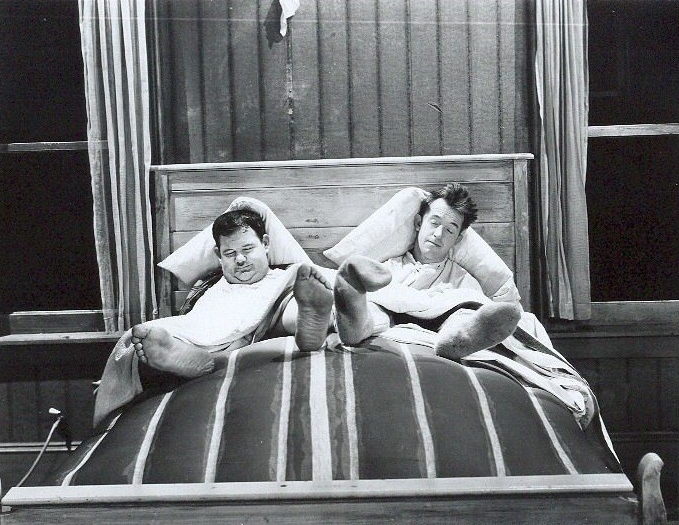 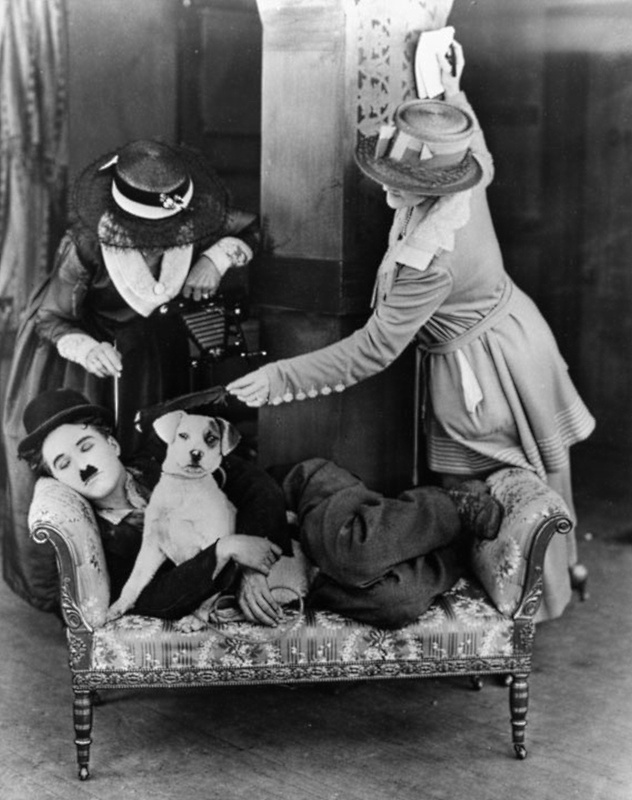 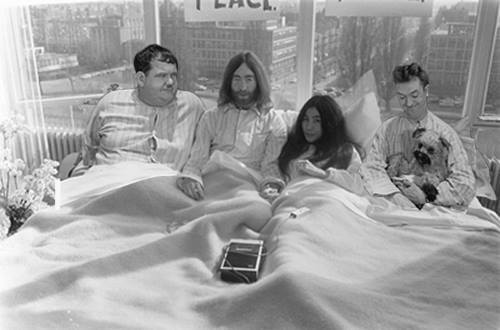 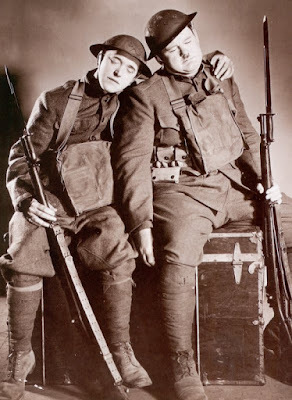 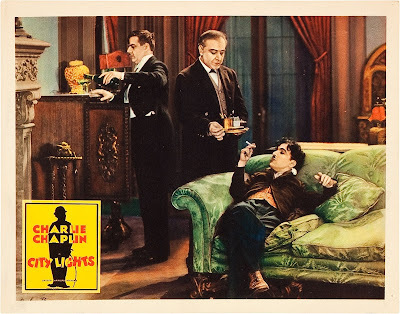 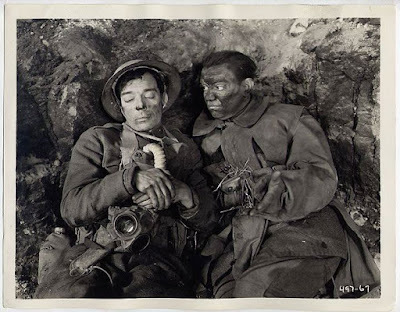 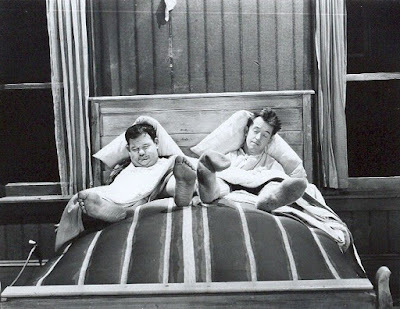 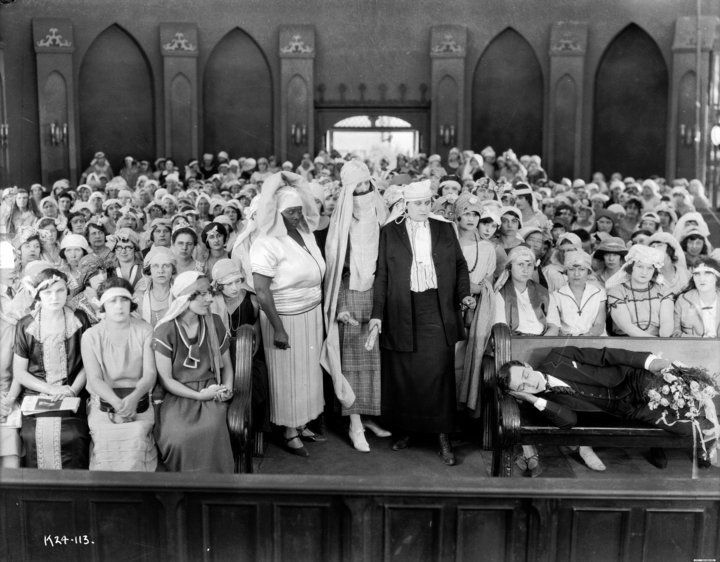 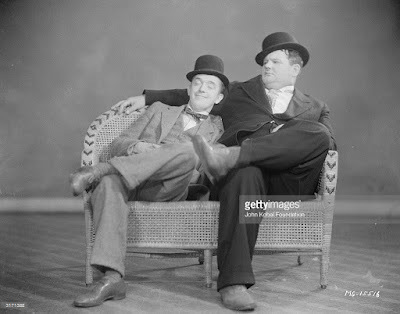 Laurel and Hardy were among film history's greatest layabouts. The two men slept like a pair of babies. 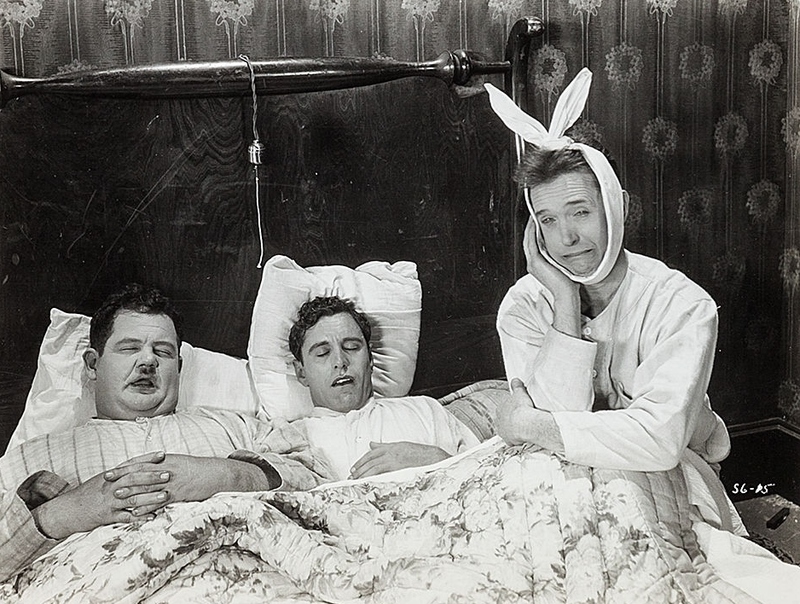 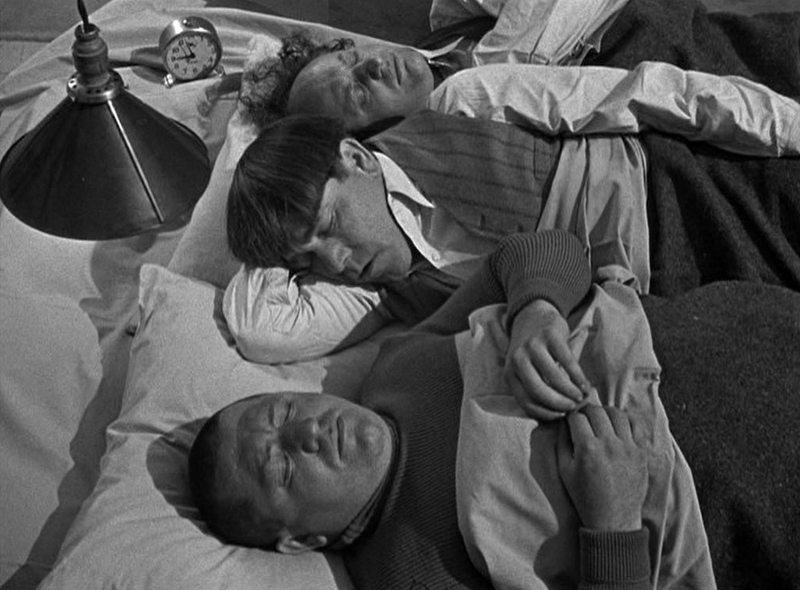 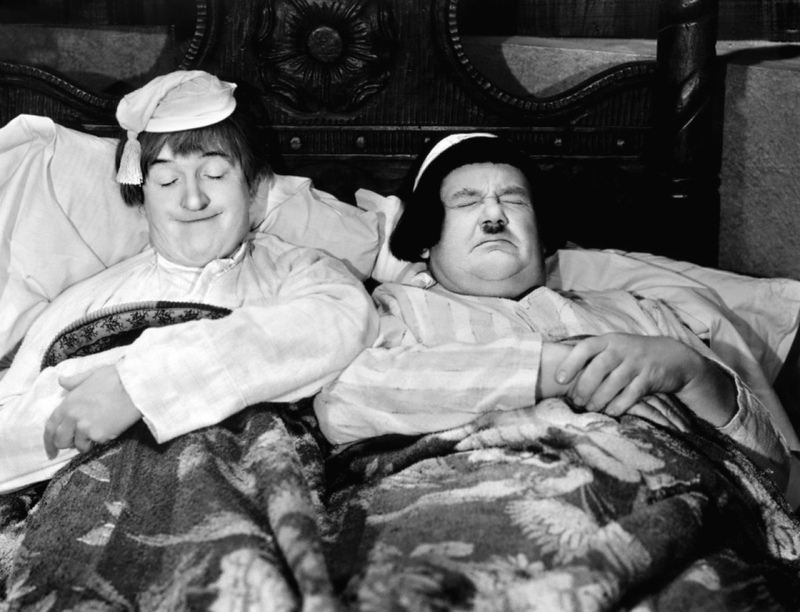 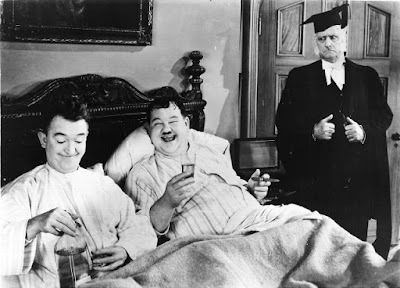 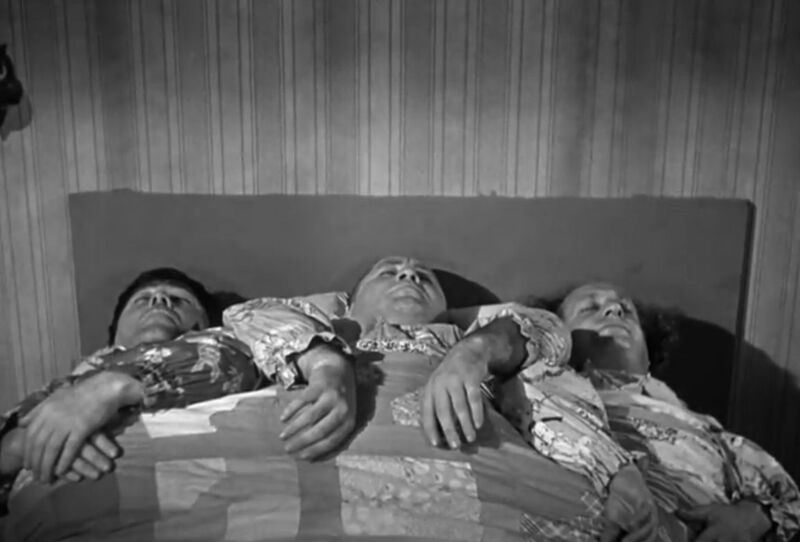 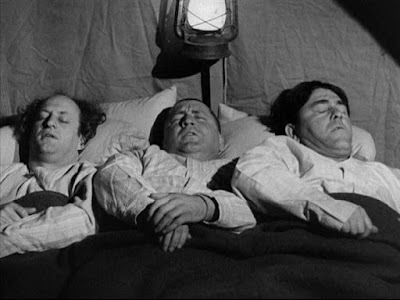 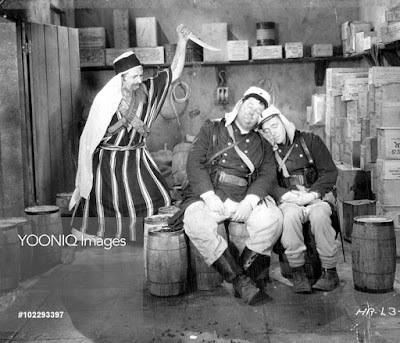 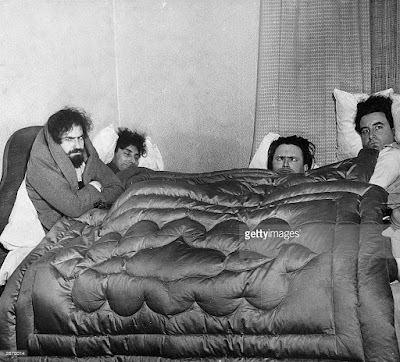 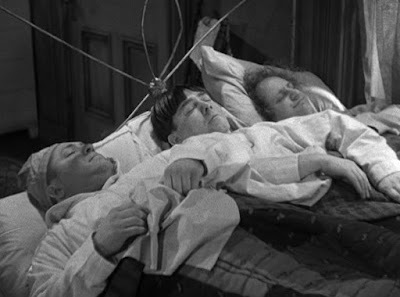 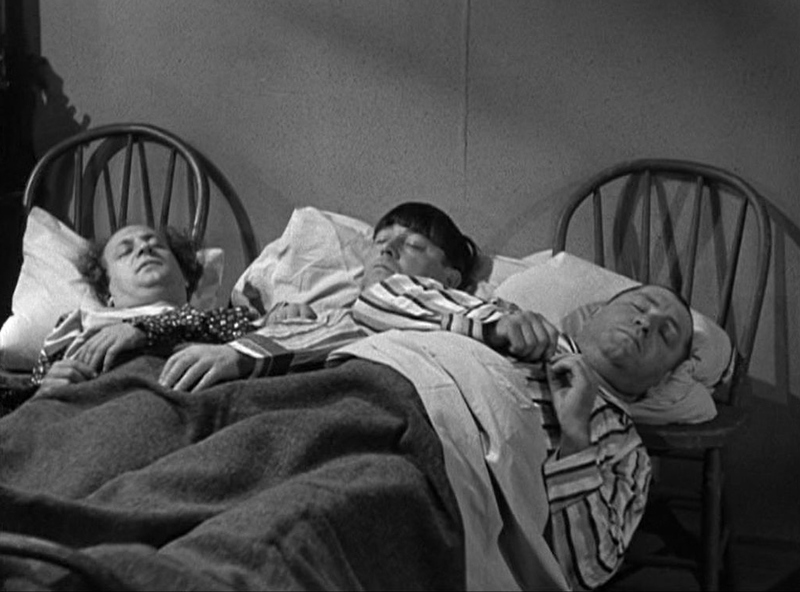 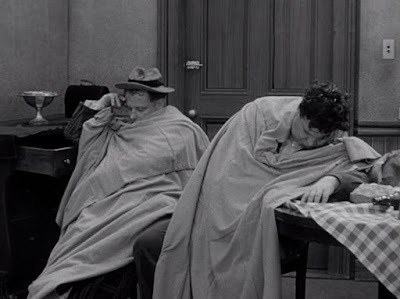 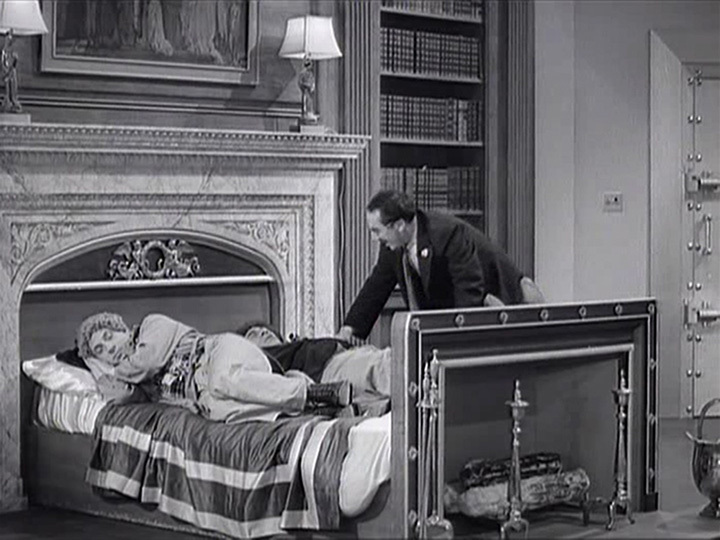 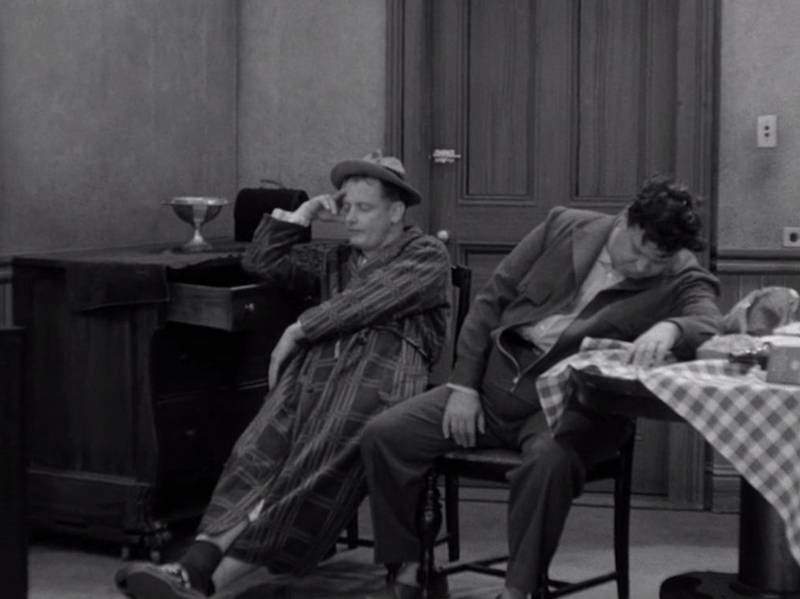 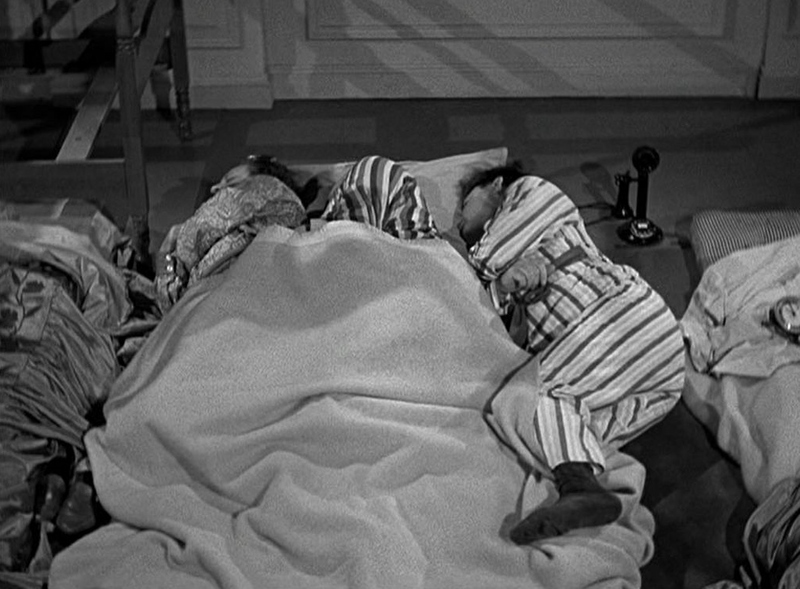 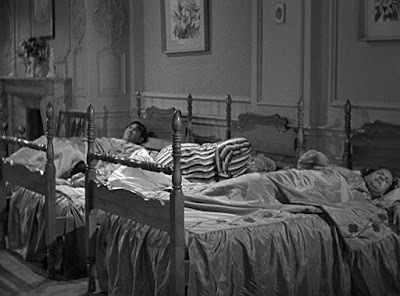 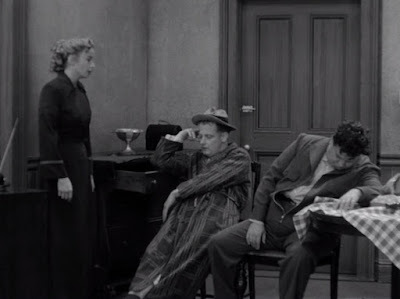 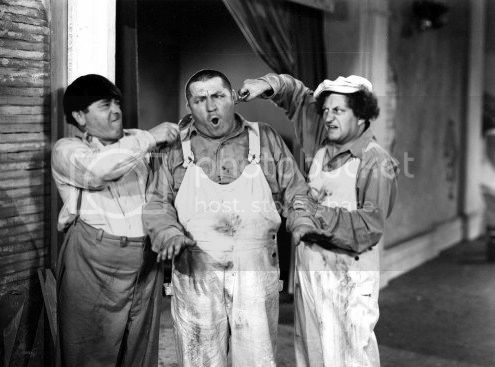 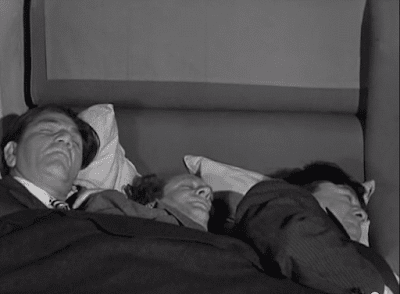 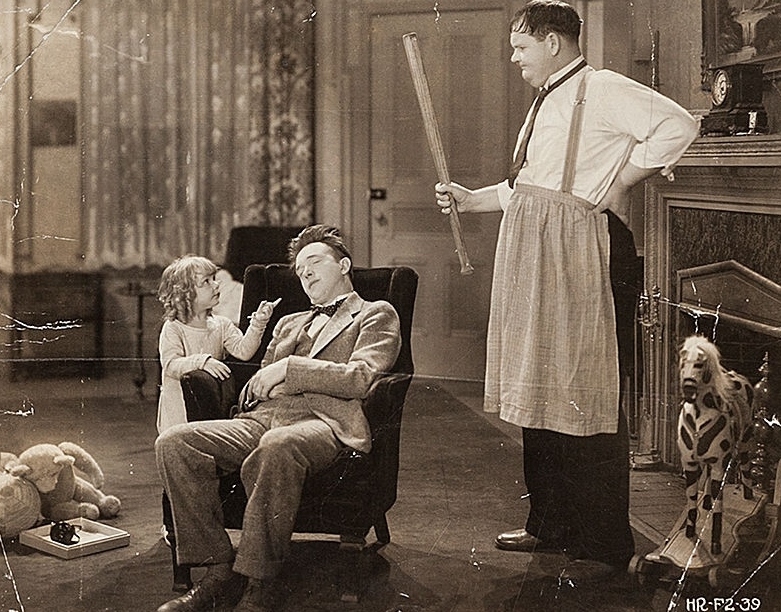 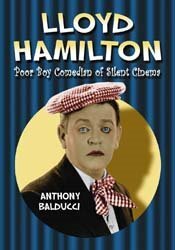 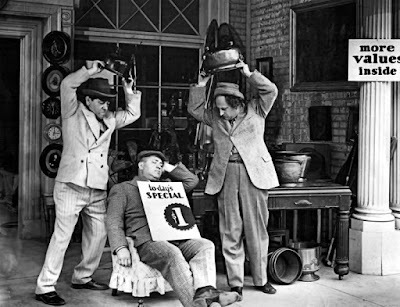 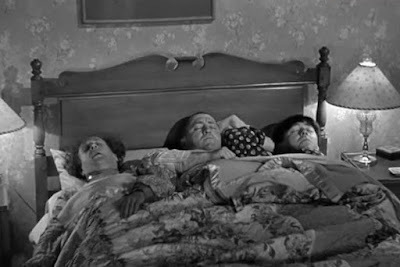 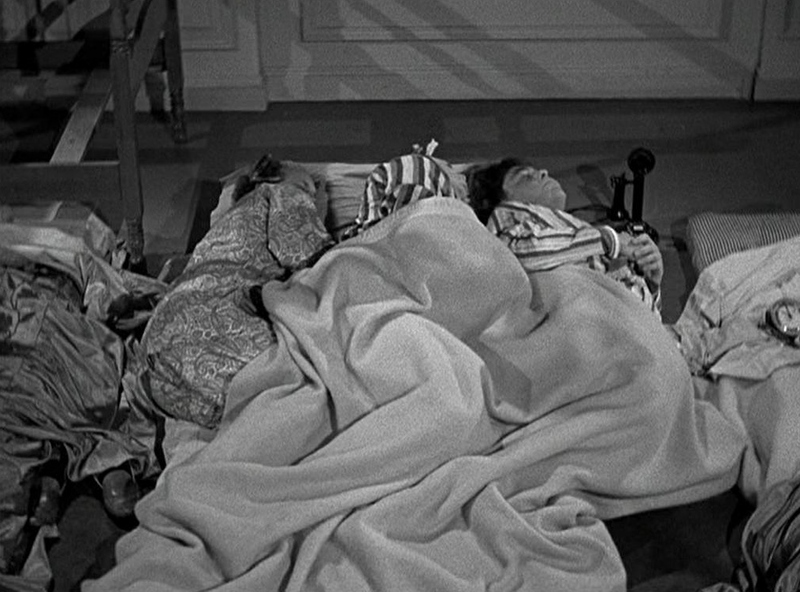 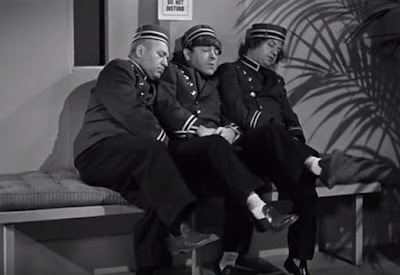 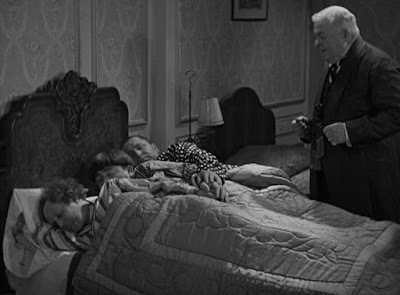 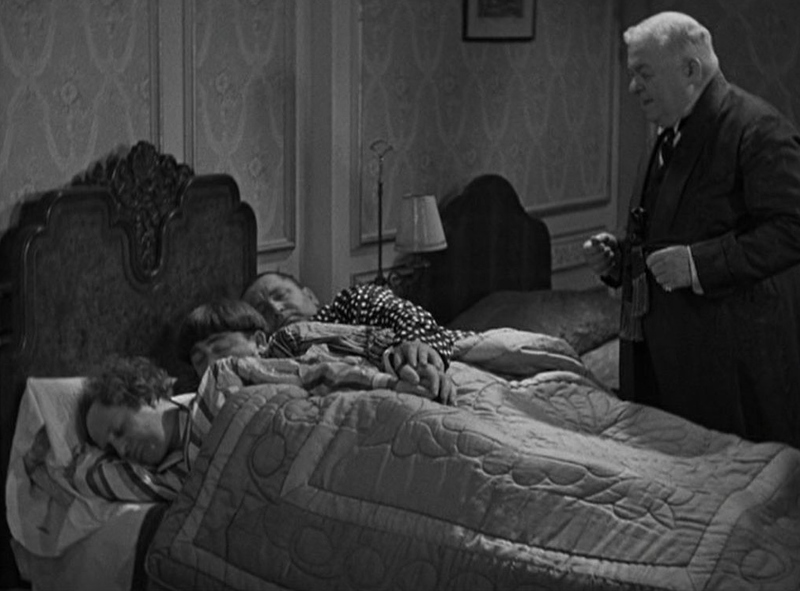 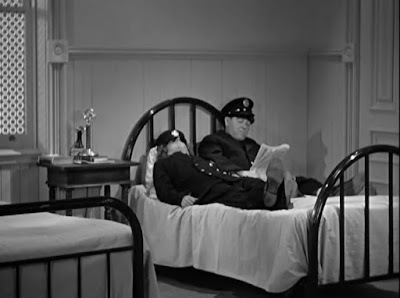 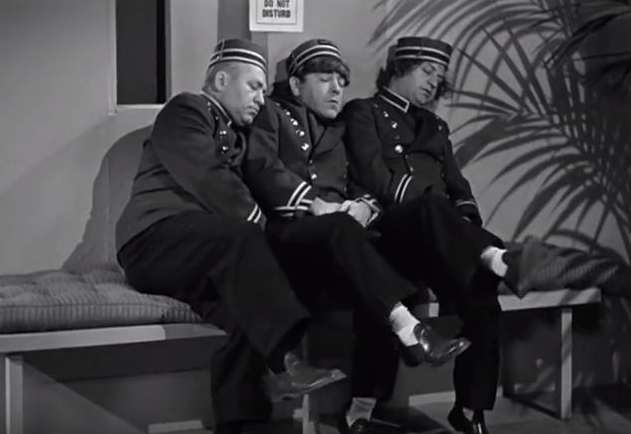 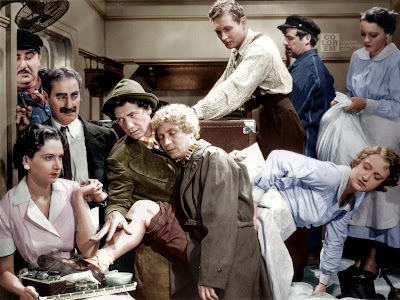 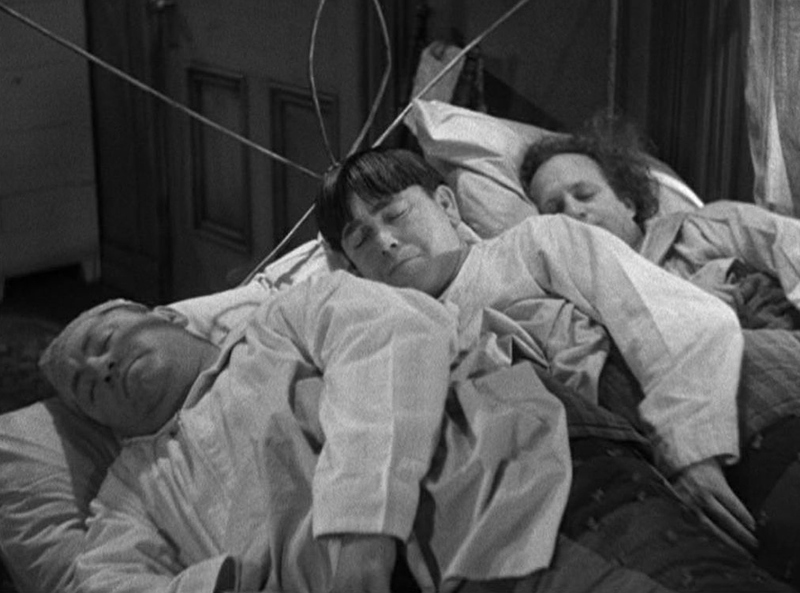 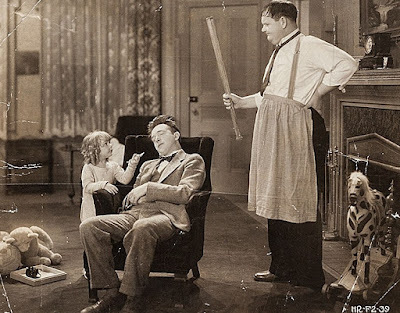 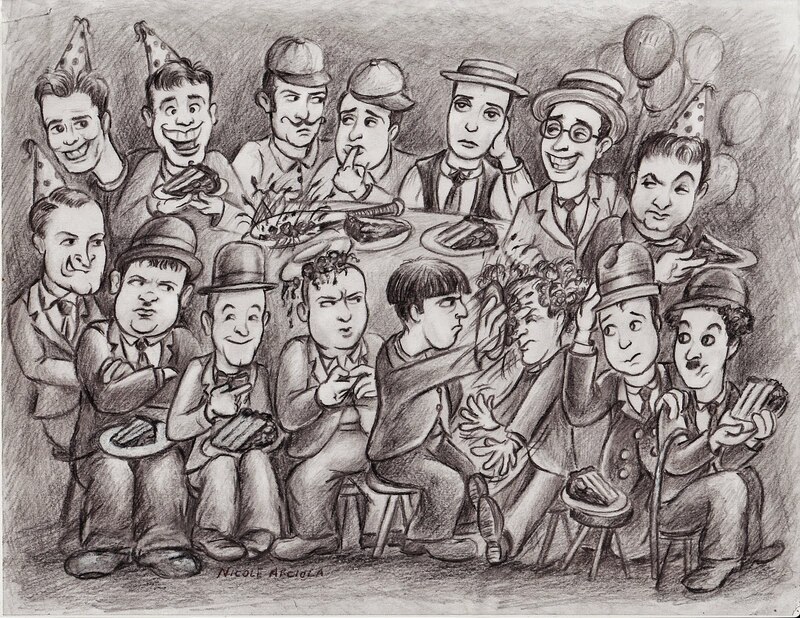 It is no secret to comedy fans that the Three Stooges slept a lot. 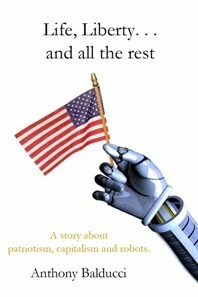 Putting together this report was tiring. 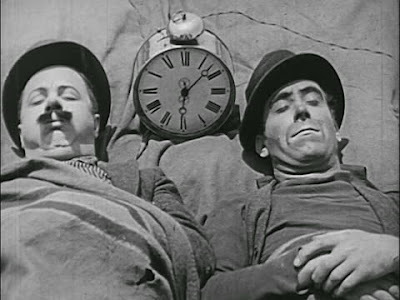 It's time for a nap.